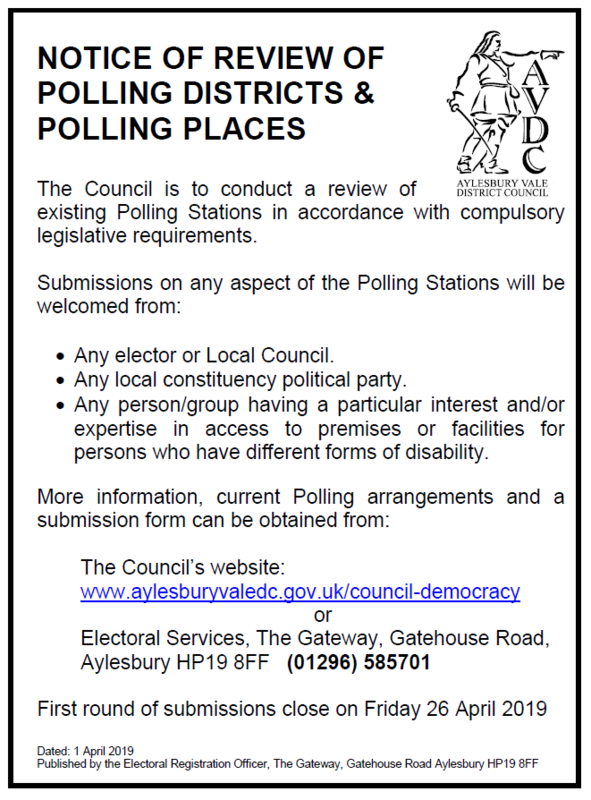 Aylesbury Vale District Council are conducting a review of existing Polling Stations and districts. Submissions are welcomed from residents, electors, local council and local constituency political parties as well as groups and persons with particular interest or expertise in access to premises or facilities for persons who have different forms of disability. More information, current polling arrangements and a submission form can be optained via aylesburyvaledc.gov.uk/council-democracy and a copy of the submission form is linked below. This entry was posted in News and tagged Accessibility, Aylesbury Vale District Council, Local elections, Polling stations by Louise. Bookmark the permalink.